Tote is a chain of betting shops once owned by the UK Government. 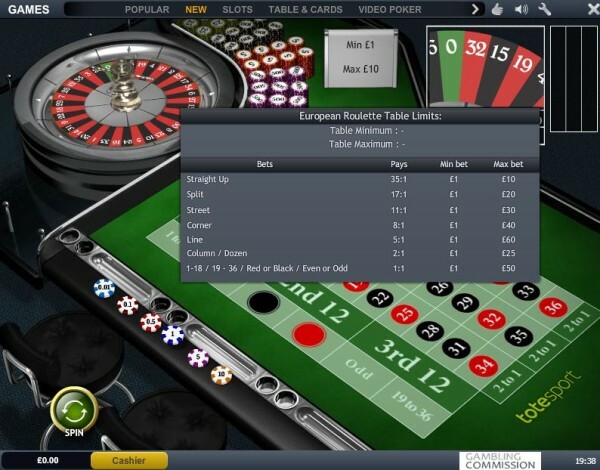 In 2011 the company was sold to Betfred. Thats the reason why both companies have the same odds now. They have similar casino sites but not the same. The casino is a playtech one. Thats pretty much middle of the road and you may as well play at any other playtech casino. The stakes are pretty limited. Minimum bets are £1 and maximum bets are £50. 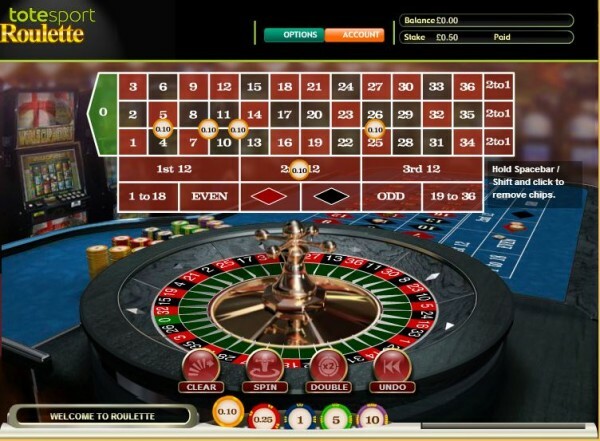 A better alternative for roulette at Totesport is the games. Thats provided by Open Bet and has stakes from 10p so you can bet 20p like you can in the actual shop.